Come and explore the many different ways you can win at the Amigo Bingo Mid-Year Bingo Camp from July 1st and until July 28th, as you play for over $100,000 in GUARANTEED CASH, $3,000 in Extra Prizes and chances to collect points to participate in the Main Vegas Trip Contest! This Bingo camp is truly an adventure, and this year’s activities will be one of the best ever! There will be plenty of jackpots and exciting games to experience, as well an opportunity to win a trip to Vegas – all while having a blast in chat! Card prizes range between 25c-$1, with fantastic GUARANTEED JACKPOTS of up to $1,000 CA$H, most games with a ‘Buy 15 tickets Get 5 Free’ price offer and a % in return that grows the more players join in the games. At the end of each contest week, Amigo Bingo will put all participants in a magic hat and randomly select the (4) $500 Weekly EXTRA PRIZE winner (s) or credit the top players with most ranking points depending on the week! Remember, the more entries you collect, the more chances you have to win it. 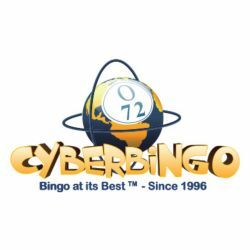 On August 2nd they will raffle off $1,000 in EXTRA PRIZES among all online bingo players in the rankings. Don’t forget: Every Bingo win counts, so everyone in these rankings will earn points into the Trip to Vegas giveaway! They will cover your flight plus 3 Night stay in the famous MGM Grand Hotel and $500 spending CASH! Take part in the camp activities to increase your chances of winning! Amigo will also raffle off extra tickets among all players that deposited within the present contest week, active players on Facebook and/or chat!